I have been spending some time experimenting with the new Google+ Local feature. This new feature has become the newest transformation of what was previously known as Google Places for businesses. At first I thought it was a bad move because Google Places was a very clean and easy to understand interface that allowed me to get good results for my clients. However, I soon was able to see the wisdom in Google's move to Google Plus Local. I truly believe this will bring a better customer experience for those millions of people who use Google on a daily basis. The ability for a search engine to determine your lcoation (with your permission of course) has a huge marketing benefit. It makes your search results even more intelligent and allows a local business to have a cleaner method of promoting to its' customers. For example, if you are looking for a sprinkler repair contractor and live in South Florida, do you really want the phone number for a sprinkler repair contractor in California? Of course not, so what you would have to do is type in a really long search phrase like "Sprinkler repair in South Florida". Now with the newest Google Plus Local environment, there is no need to enter that data providing that Google has accurately determined your location. :) Some of the other changes with this new platform are the rating system. According to what I have seen so far, Google has eliminated the 5 star rating and has chosen to use a combination of Zagat(for restaurants), and social media while still allowing a customer to manually enter a review based on 3 categories. Each category now has a maximum score of 3. 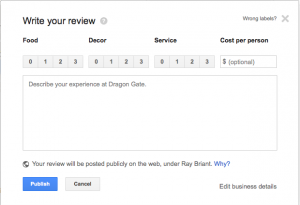 A rating of 3 has become the highest rank you can chose when reviewing a Google Plus Local business. However, it appears the Google has not yet removed the elegant 5 star review icons from what I called the "external" version of Google. This will cause some confusion for business who will assume that their score has been reduced from a 5 to a 3. I would have liked to see Google keep the 5 star rating in place. 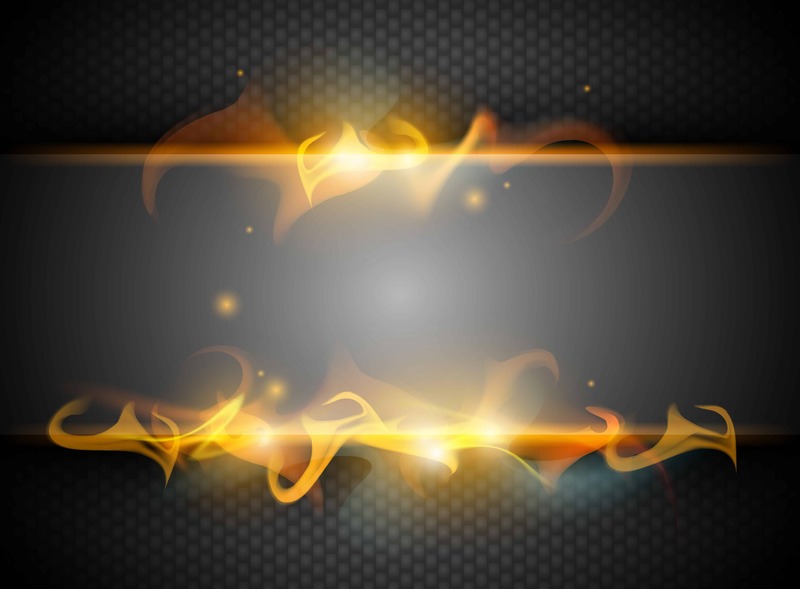 A 5 star rating has become the gold standard of excellence has a more visually stimulated appeal in my honest opinion. I have prepared a video that reviews the new look and features of Google+ Local. Overall I believe this new platform will provide businesses a better opportunity to reach more customers in their local market. I look forward to using this service for my current clients and hopefully many more in the future. Thanks for viewing, Ray Briant Ps. If you are a business and need help setting up your internet marketing, visit my website design and internet marketing website at http://kellyday.net. I have been spending some time experimenting with the new Google+ Local feature. 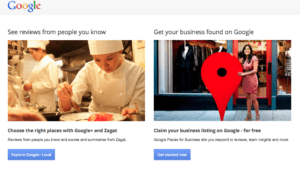 This new feature has become the newest transformation of what was previously known as Google Places for businesses. At first I thought it was a bad move because Google Places was a very clean and easy to understand interface that allowed me to get good results for my clients. However, I soon was able to see the wisdom in Google's move to Google Plus Local. I truly believe this will bring a better customer experience for those millions of people who use Google on a daily basis. The ability for a search engine to determine your lcoation (with your permission of course) has a huge marketing benefit. It makes your search results even more intelligent and allows a local business to have a cleaner method of promoting to its' customers. For example, if you are looking for a sprinkler repair contractor and live in South Florida, do you really want the phone number for a sprinkler repair contractor in California? Of course not, so what you would have to do is type in a really long search phrase like "Sprinkler repair in South Florida". Now with the newest Google Plus Local environment, there is no need to enter that data providing that Google has accurately determined your location. 🙂 Some of the other changes with this new platform are the rating system. According to what I have seen so far, Google has eliminated the 5 star rating and has chosen to use a combination of Zagat(for restaurants), and social media while still allowing a customer to manually enter a review based on 3 categories. Each category now has a maximum score of 3. 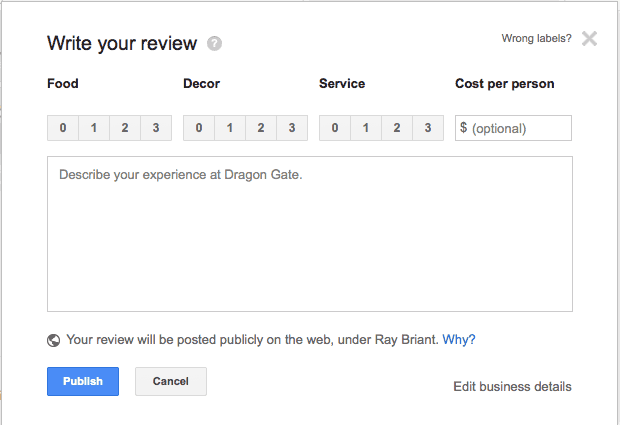 A rating of 3 has become the highest rank you can chose when reviewing a Google Plus Local business. However, it appears the Google has not yet removed the elegant 5 star review icons from what I called the "external" version of Google. This will cause some confusion for business who will assume that their score has been reduced from a 5 to a 3. I would have liked to see Google keep the 5 star rating in place. A 5 star rating has become the gold standard of excellence has a more visually stimulated appeal in my honest opinion. I have prepared a video that reviews the new look and features of Google+ Local. Overall I believe this new platform will provide businesses a better opportunity to reach more customers in their local market. I look forward to using this service for my current clients and hopefully many more in the future. Thanks for viewing, Ray Briant Ps. If you are a business and need help setting up your internet marketing, visit my website design and internet marketing website at http://kellyday.net.